Rehearsal dinner planning is often the largest responsibility for the groom and his family in the wedding process. This event, which immediately follows the wedding rehearsal, is an opportunity to honor the bride and groom one final time before they take their vows. It also gives the couple a chance to thank their families and the wedding party for their support and for being a part of the wedding. While the reception will be the biggest party of the weekend, there’s no reason the rehearsal dinner can’t hold its own. We know that most men don’t have extensive event or party planning experience (it would be scary if you did). Rest assured, though, throwing a memorable rehearsal dinner shouldn’t be difficult for you and your family. 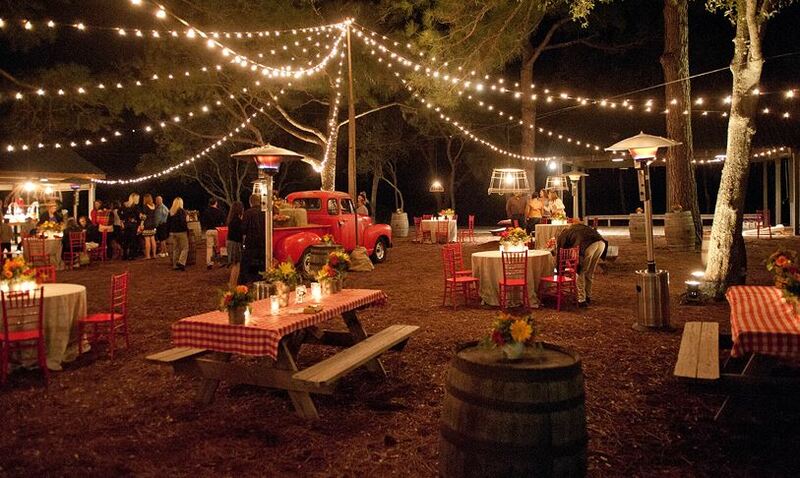 Chances are you’ve been to at least one rehearsal dinner in the past and can draw from that experience. Your parents may even want to incorporate some aspects of their rehearsal dinner (location, menu, photos) into yours. Traditionally, the groom and/or his family is financially responsible for all of the rehearsal dinner planning. But if they’re unable to do so, it’s perfectly acceptable for another family member or friend of the groom’s family to take charge of it. This event doesn’t need to be a ritzy, black tie affair. While some couples like to stage a more formal affair, others prefer to just invite the wedding party to their home for a backyard barbeque. Whatever the case may be, there are some basic pieces of information that any groom-to-be should know when it comes to the rehearsal dinner. Traditionally, the rehearsal dinner guest list is comprised of the wedding party, immediate family, and anyone else who took part in the rehearsal. However, it’s not un-common to invite any out-of-town guests who have traveled in for the wedding. This is another way to thank them for making the trip to be a part of the big day. Unlike the wedding, you have a chance to be a little more casual and creative when it comes to your rehearsal dinner planning and invitation style. If you’re on a tight budget, e-vites are a free alternative to the traditional invitation. Remember to wait to send out the invites until the wedding invitations have already gone out from the bride’s family. When choosing a venue, the most important thing to remember is head count. You’ll need to know if you have enough room for everyone. It’s a safe bet that most, if not all, of your wedding party will be attending the rehearsal. Therefore, it should be easy to get a solid idea of the rehearsal dinner size. Ideally, the location of the venue will be relatively close to the church so there won’t be a long delay in getting there after the rehearsal. Common venues include banquet halls, country clubs, restaurants, church halls, golf courses, hotel event space, and homes. Realistically, anywhere with a suite or private room should be suitable. TMR Recommendation: Get creative. If you and your bride-to-be enjoy watching your favorite team together, see if their stadium has any private suites that are available for rent. Unless you’re holding the rehearsal dinner at a restaurant with menu options, you’ll need to decide on a caterer and a menu. The main thing to remember is to make sure that you don’t duplicate the wedding reception menu. Another big decision to make is what type of bar you’ll have at the rehearsal dinner. Budget-wise, open bars can take a toll. One way to prevent breaking the bank is to only serve beer or wine. These drinks can be bought for a relatively cheap price compared to buying a large supply of liquor. During your rehearsal dinner planning time, consider making it memorable by making it more than just a dinner. Many couples utilize the rehearsal dinner as a time to present their wedding party gifts to the wedding party and parents. It’s always nice to personally thank each attendant again for being part of your wedding weekend. The rehearsal dinner is also a great time for toasts. Oftentimes, couples will decide to get the toasts out of the way at the rehearsal dinner so they won’t distract from dancing time at the reception. If there are plans to put together a photo montage of the couple, the rehearsal dinner can be the perfect time to show it. For more rehearsal dinner ideas and inspiration, check our Pinterest board which we update frequently.